Westminster is in the foothills of the Blue Ridge Mountains and neighbors the mountains of North Carolina and Northeast Georgia. Several waterways including the Chauga River and Ramsey Creek surround Westminster. The rivers meet to form Chau Ram Falls. This beautiful 40-foot falls cascades over large boulders and can be viewed at Chum-Ram Park, just outside the city limits. The Park offers a variety of activities such as hiking, biking and fishing. 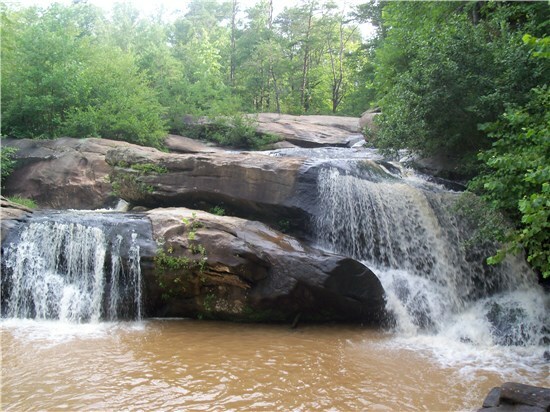 The surrounding river terrain features some of the most beautiful waterfalls and hiking trails in the nation. Their rushing waters surrounded by stunning scenery make each one a special place to visit. Hikes to these waterfalls range from easy to extremely difficult, but each offers a rewarding, picturesque view at the end. A short drive from Westminster will take you to area lakes including: Lake Hartwell, Lake Keowee and Lake Jocassee.